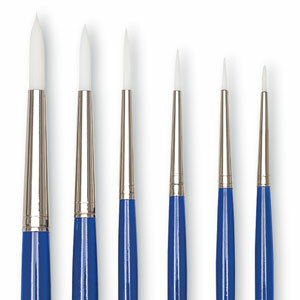 Blick Scholastic Wonder White Brushes come in a wide range of shapes and sizes. White Taklon filaments deliver the texture and responsiveness of Red Sable, but are more durable after repeated exposure to paints and solvents. 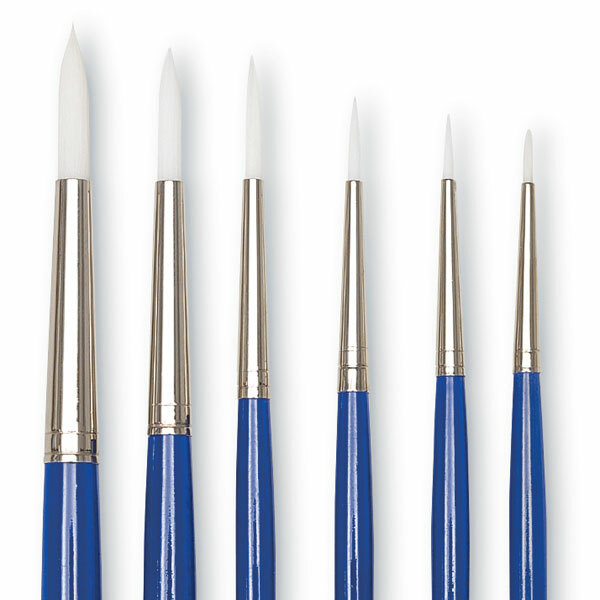 Blue gloss-finished handles; nickel-plated brass ferrules. These sets includes sizes 0, 1, 2, 4, 6, and 8. They are available in Bright, Filbert, Flat, and Round brush shapes.